It’s not that I don’t like beer. I guess I just don’t love beer. Some examples of beer that I really enjoy are Corona, Canadian and Sam Adams. All of these can be super refreshing on a hot day but, I would always sooner reach for a glass of wine, or even a mixed drink. I also don’t really know my beer very well. Lagers, ales, ambers, stout- it’s all Greek to me. Last Father’s Day, I made a giant basket of beer from around the world for my Dad. I could not believe how many variations there were to choose from . I was overwhelmed, and knee-deep in beer selection at the liquor store. I was also surprised to see how many fun varieties of beer there are. As we approach the Summer ( and peak patio season) the LCBO once again has some creative booze options for either the beer connoisseur , or curious taste testers like me. I thought I would share my finds so that you too can take a run to the liquor store and try some of these luxurious libations this Summer. I really enjoy picking up some of these non-traditional beer varieties. It is great that they are available as singles so that I can mix and match. I have been told that these are all ” girly beers”, but you can be the judge. This is a very strong beer, which usually is not my thing. However, it is actually really tasty. I definitely taste the banana bread flavor on the first sip but then it tends to disappear as you drink more, if that makes any sense. Because of its strong taste, a little of this goes a long way. I couldn’t finish a bottle. I would say this may be for those who enjoy strong beer like Guinness, and would be too heavy to accompany a meal. Refreshing ale served with blueberries in the glass. Pours golden-orange with a fine white head. Aroma of fresh blueberries, blueberry bread (floury), crystallized sugars and pepper. Sweet flavors dominated by mild blueberries with a malty background. Sweet fruity aftertaste with hints of pepper. Light-medium body, creamy and refreshing. 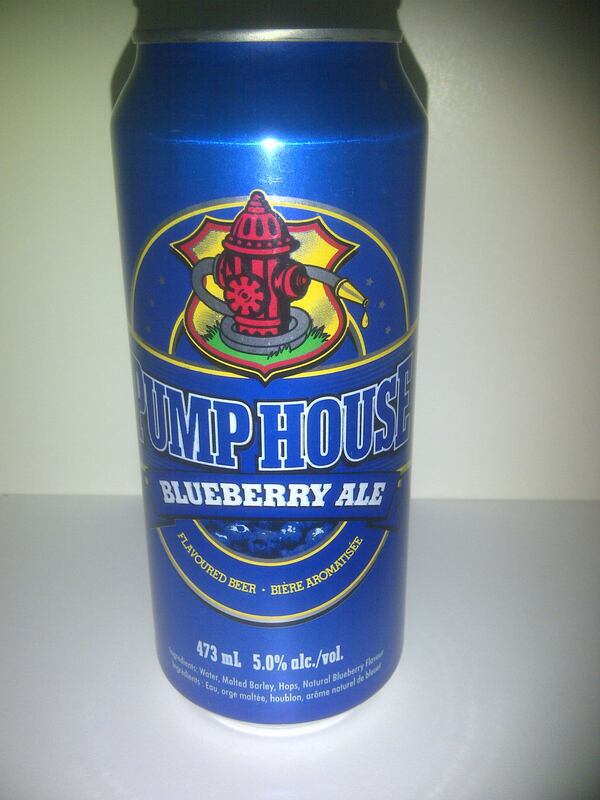 Our Blueberry Ale is better enjoyed as an aperitif or with dessert. Keeping an open mind, it fits nicely with food plates which are slightly sweet in flavours. Yum! This is my jam. A light beer with a sweet blueberry flavour in the background, it was refreshing and tasty. My pet peeve is when fruit flavours have that fakey, syrupy taste. This beer did not. It actually tasted as if it had been infused with real blueberries. I will definitely be stocking up on this one for patio season. 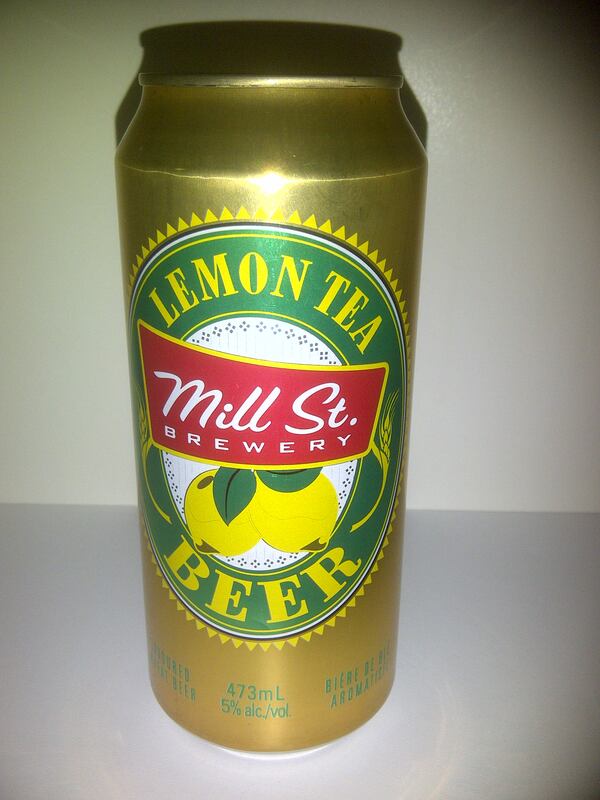 A remarkable wheat beer infused with a blend of Orange Pekoe and Earl Grey teas. It pours a light amber colour and will charm you with its sublime tea flavour and subtle lemon twist. A truly Canadian take on one of Europe’s newest beer styles . This beer has a very distinctive iced tea flavor. In fact it reminded me of Nestea , with a kick. The lemon flavour is strong, without being overpowering. This is a light, refreshing beer that tastes more like tea than anything else. As I tea lover, I enjoyed this and would definitely repurchase. Handcrafted with specialty malts and hops, carefully selected Organic Gunpowder Green Tea and fresh Ontario grown ginseng is added directly into the brew. 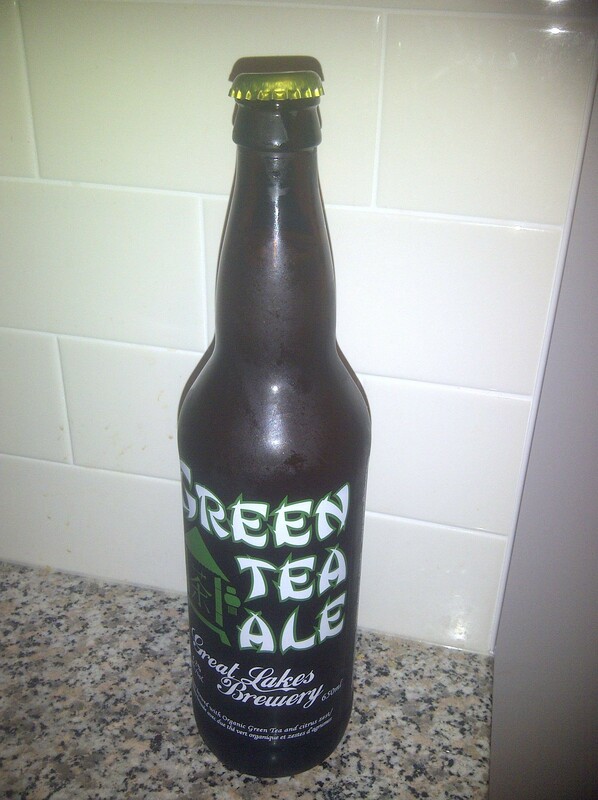 Like green leaves sprouting, this beer boasts a refreshing and slightly herbal flavour. I was probably most excited to try this one. I drink green tea by the gallon , so it caught my eye right away! This beer was definitely my favourite. 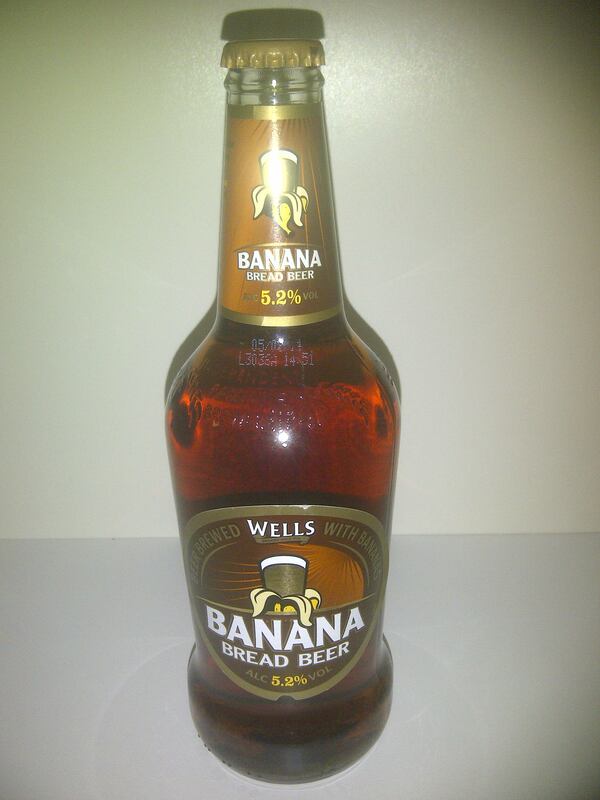 Although it has a very distinct and heavy taste, it was not as strong or cloying as the banana bread beer. It tasted like green tea sencha powder, similar to the flavour of green tea ice cream. This one of a kind beer is brewed as a pilsner style beer which is then combined with natural apple juice and essence. The result is a refreshingly smooth beer with a crisp, clean finish, which is perfect for complimenting or cooking with poultry, pork and seafood. I picked this beer up with one of my good friends in mind. She LOVES green apples, and anything green apple scented , or flavoured. Being the good friend that I am, I had to taste test this for her, right? It is very crisp and refreshing. 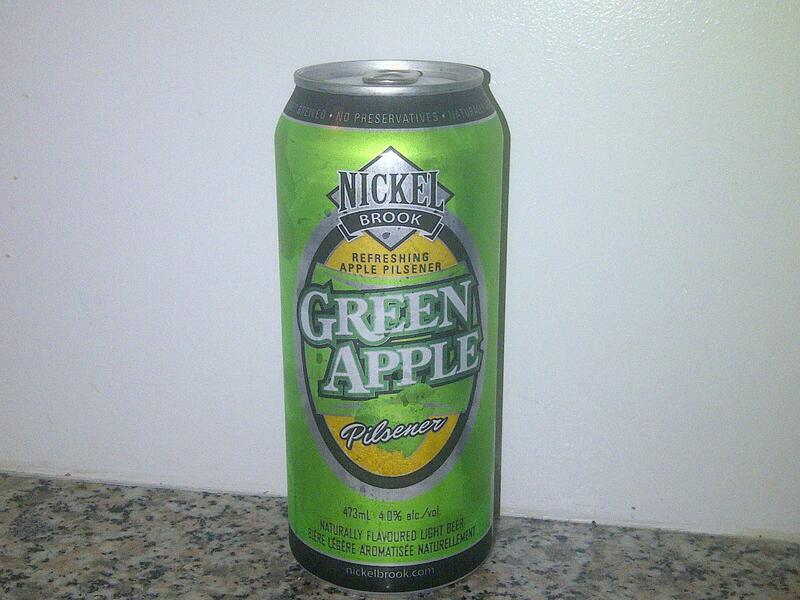 Although it smells like sweet green apples, it is not too sweet and the flavour is not overpowering. There is one more interesting beer find that I had to share. I think it wins the title of the most unusual, hands down. I did not try this one for myself , but I passed it on to my dear beer ( and bacon ) loving friend. I told her I imagine it will either be really tasty, or terrible! I hope it’s the former. 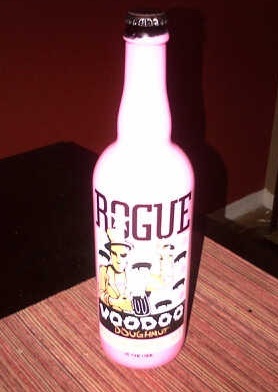 Rogue Ales worked with Voodoo Doughnuts to create Bacon Maple Ale! This unique artisan creation contains a baker’s dozen number of ingredients including bacon and maple syrup from one of Voodoo’s signature doughnuts. Interesting, huh? I love the bottle. Would you try it? So, there you have it. Some of my fab liquor store finds to help quench your Summer thirst. If you have tried any of these, let me know what you thought below. If not , which would you like to try? Thanks Tania! Im glad you guys know what I mean when I say beer for people who don’t like beer, lol! I think you’ll like it, especially if you like Nestea Iced Tea. Let me know what you think! I usually hate beer but after reading this I’m most interested in trying the Green Tea Ale and the Green Apple beer…you know I love my green tea and green apples! Thanks for the review!